These simple labels will help you dress up water bottles, vintage soda bottles, or even 2-liter bottles (just make the project a bit larger), so that everything on your table coordinates perfectly! 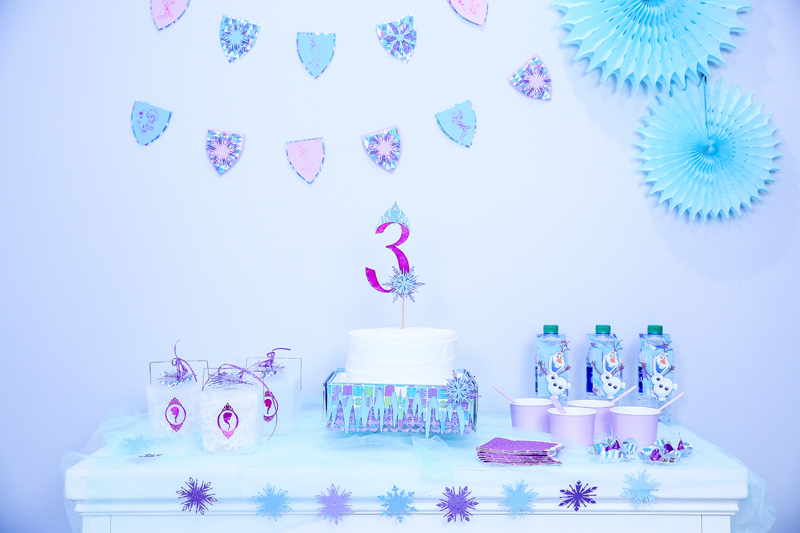 Olaf is just the cutest and the perfect way to make the boys feel included at a Frozen birthday party! 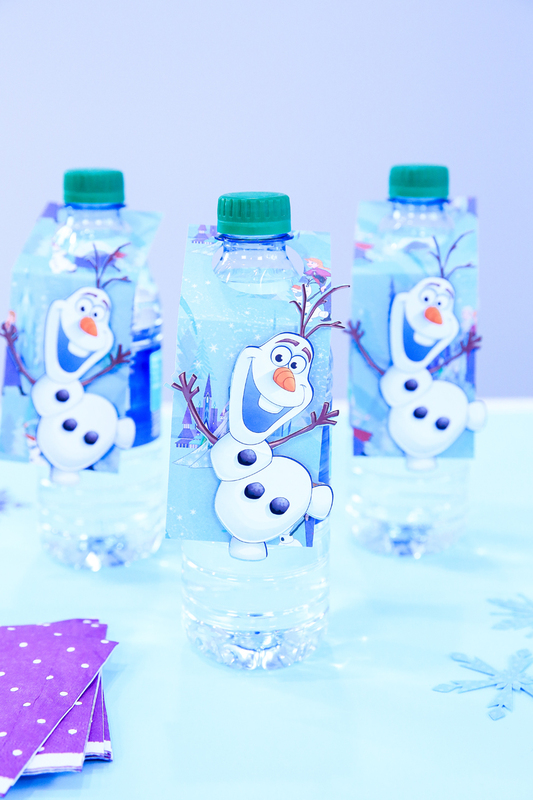 I made these Olaf Frozen Water Bottle Labels in Design Space® by slicing and welding a few shapes together. 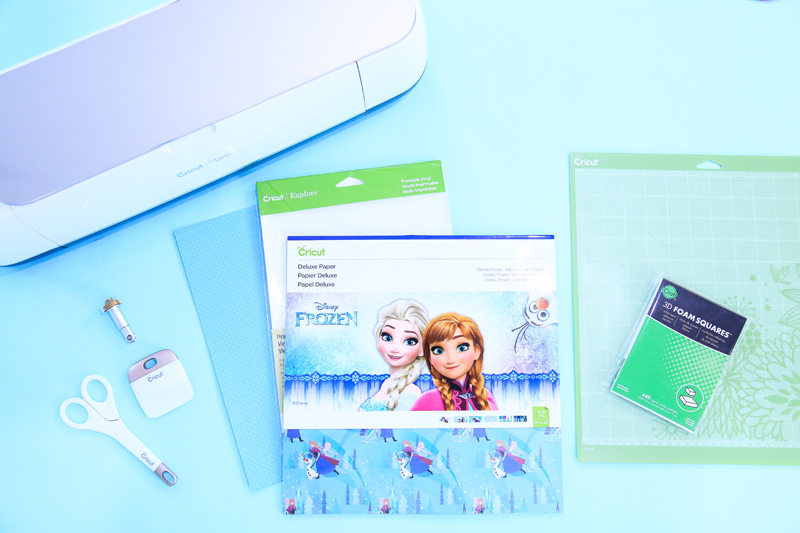 You can use my creation, or if your little one prefers Anna or Elsa, you can make them too in a few simple slicing and welding steps! 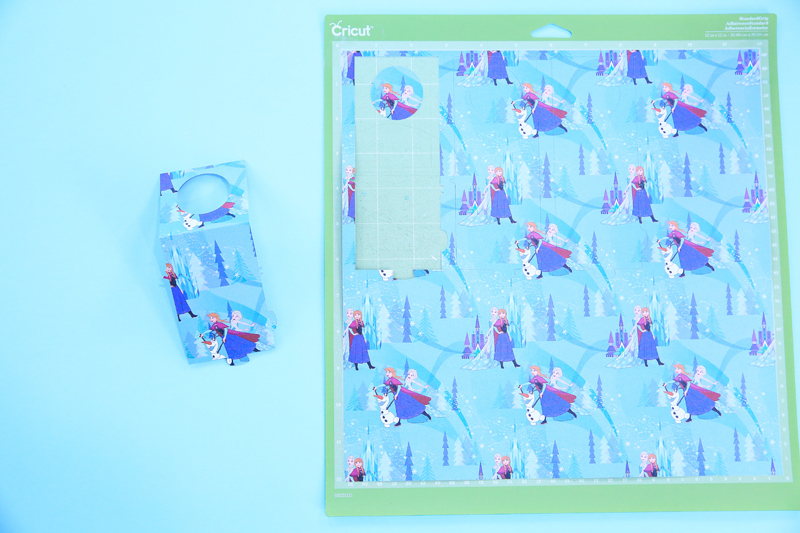 I used Disney’s new Frozen Adventure & Magic Deluxe Paper pack for my label base and it turned out beautifully! Olaf is all set up for water bottles and old-fashioned soda bottles, but if you’d like to make a few for 2-Liter bottles, just enlarge him. I would suggest testing a plain white sheet for the base before cutting from the deluxe cardstock. 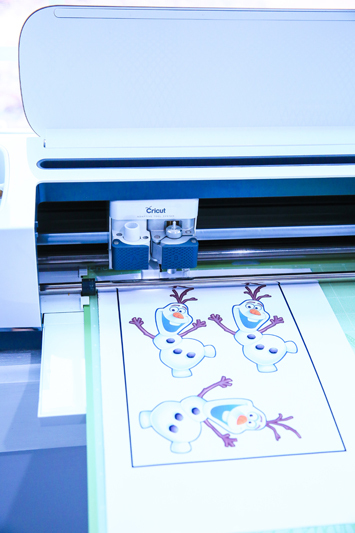 Once you have a good size, enlarge Olaf to fit and duplicate your project for as many bottles as you have. 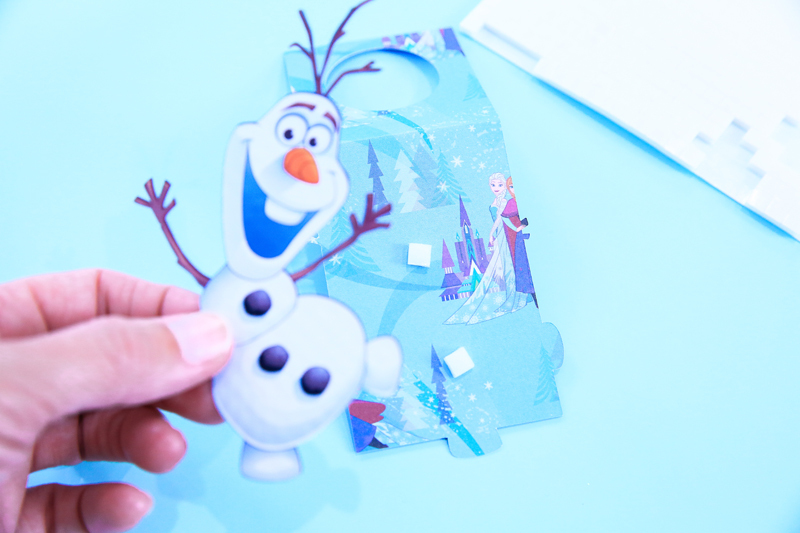 Cut and score each element using Frozen Adventure & Magic Deluxe Papers, a solid sheet of cardstock for the Olaf outline and printable vinyl for the Olaf sticker. 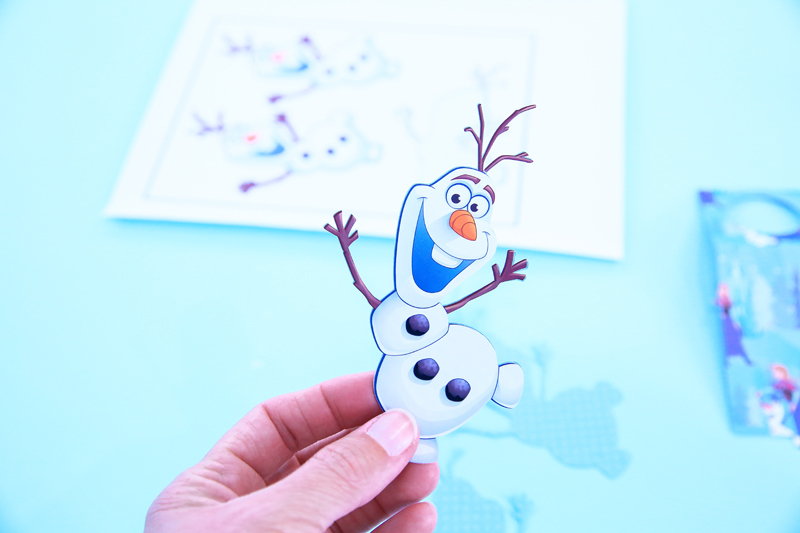 Layer the Olaf vinyl sticker on the solid sheet of paper to make him sturdy, then attach him to the water bottle label with 3-D foam adhesive dots for a raised effect. Hang him over the top of your bottle and you’re done!